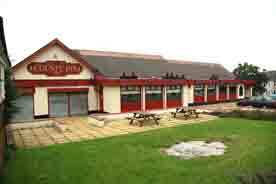 1 Burn Place, Dukes Road, Cambuslang, Glasgow. G72 7BB.Tel: 01416411874. 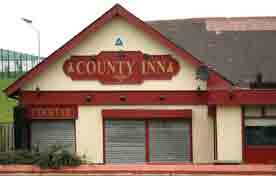 The County Inn in Cambuslang was opened in November 1960. 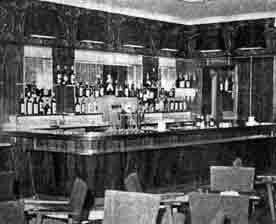 Interior View of the lounge. 1960. Pictured at the opening of the County,are left to right: Mr M C Niven, Alexander Brothers (Wines), Ltd; Mr J Hyndman; Mr R C Hyndman, proprietor; Mr J A Macdonald, West of Scotland branch manager, Scottish Brewers, Ltd.; Mr J R Graham, Alexander Brothers; and Mr W R Mort, West of Scotland commercial manager, Scottish Brewers, Ltd..